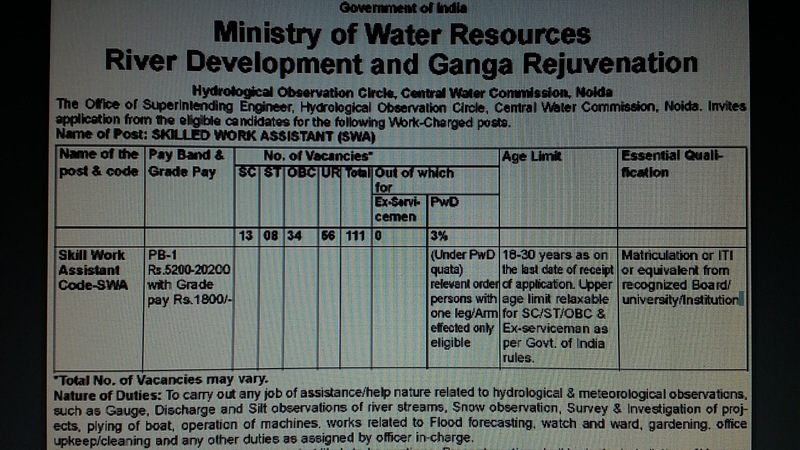 Central Water Commission (CWC) invites application for the post of 111 Skilled Work Assistant (SWA). No. of Vacancy : 111 Posts. 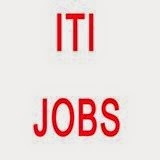 Educational Qualification : Matriculation/ ITI or equivalent from recognized Board/University/ Institution. post only to Executive Engineer, Upper Yamuna Division, Central Water Commission, B-5, Kalindi Bhawan, Tara Crescent Road, Qutub Institutional Area, New Delhi, PIN 110016 on or before within 30 days from the date of Publication this Advertisement.